Let's face it, we all wanted to go to Fashion Week, been in the front row with the celebrities, it girls and bloggers. But how you can get invited? Keep reading! If you're a fashion enthusiast. you're obsessed with designers and the clothing, you need to show it. Set up an instagram account, a blog, anything to showcast your style online. Force your boyfriend or a friend to take photos of you, be interactive, show all your style, you would be surprised how many people are interested on someone else style. You have great photos, a great style, now what? You need readers, followers and likes, people who read and interact with your photos and the entries of your blog. You don't need to be too famous, you just need a nice amount of people interested about what you wear and what you do, even if you have 20000 followers but you get a lot of likes and comments, you're GREAT! It's time to send emails! 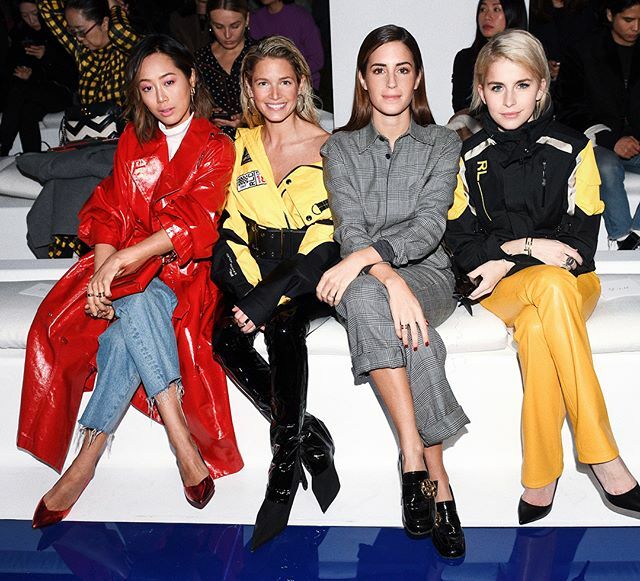 There is many public relations agencies that work for your favorite brands on fashion week, they are in charge of filling those seats of famous people, bloggers, influencers, celebrities and it girls. Here are some of them: dOMAIN, Sabrina Levine PR. But how do you know which agencies are? Google it, check out Fashionista.com Career page. In the pages of your favorite designers sometimes you can find that information. You don't know how to approach them? Click here to get some tips! But also, you can sign up at FohrCard.com, they work with many of these agencies and every time fashion week approaches, they send an email to all their bloggers asking if they will attend or not so they can send your information to those PR agencies. Sometimes you won't get a seat, maybe they only invite you backstage, but it's a start! Maybe you can get a pass for the show! Even if you're not invited to anything there is a lot of shows and showrooms that don't require any invitation. Post on instagram about your favorite outfit from the runway, street style shoots and tag all those designers, maybe you would get a like from them! That's how I got invited! You can also work as an Intern at fashion week, check out Fashionista.com Career section, a lot of brands are looking for help during fashion week, you can get a pass! Do not give up, keep growing, continue to share your love for fashion, your style, your ideas and tips. With every year, you can get invited to more shows, events and parties. Make connections with brands, tag them on your photos, collab with other bloggers to make you notice and be recognized. Don't forget to follow us on Instagram @Femmeontrend for more tips and tricks on how to get invited! Rent a Bag for Fashion Week!